As you may already be aware, scammers are increasingly trying to find ways to gain access to online platforms like Booking.com. They try to use email addresses, as well as links, attachments and images in emails, to illegally gain access to the private information of Booking.com’s customers and partners. Because Booking.com are committed to protecting you and your guests from these kinds of email-based attacks, they are providing you with two features to create an even more secure and convenient method for you to communicate with your Booking.com guests. As of this week, guest email addresses will be made anonymous in order to provide an extra level of security. Your email address will also be protected in the same way. You can continue to send and receive emails to guests as you normally would. The difference is that your identity, as well as that of your guests, will be protected. In addition, you will not be able to send links, images, attachments, or anything of this nature. This ensures that you and your guests are less susceptible to online scammers. Booking.com already sends pre-arrival emails to guests 5 days prior to check-in to provide helpful information for their stay, including maps to the front door of your property. This reduces the need for you to send extra emails with links, attachments, maps or images. Booking.com are also exploring additional options to make it even easier for you to communicate with guests in the most secure way possible. 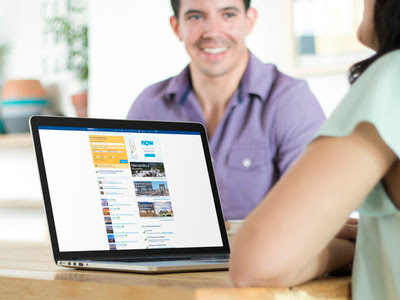 Your Booking.com Extranet is the most secure environment for you to communicate directly with guests. Visible alerts have been added to your homepage, which will enable you to quickly respond and/or proactively send messages to guests anywhere their booking information shows up. All you have to do is select the individual reservation, and respond or send your message. A click of a button is all it takes! Booking.com’s goal with these features is to enable easy and convenient communication, while providing an enhanced level of protection for you and your guests. HiRUM Software Solutions clients can expect to see these new features in operation within the next two weeks. Q. Why does the email address of the guest look strange? A. The email addresses partners see is an anonymous email address. This is a randomly created, but connected to the actual address of the sender and receiver. Q. How long is the anonymous email address valid? A. Until 2 months after check out. As soon as the partner receives the reservation, they can start communicating with guests. Please note that every reservation will generate a new anonymous email address for partner and guest. Q. Can a partner use their anonymous email address for any other purposes? A. No, the anonymous email address will only allow communication between a partner and a specific guest. Q. Will the guest see the accommodations partners’ real email address? A. No, the guest will also see an anonymous address which is linked to the partners email address. Q. Do we support all types of attachments send via the anonymous email addresses? A. The most common we do; word, excel, pdf. We do not support .exe, .bat, com and zip files. Q. How does the guest receive the message if the partner uses the extranet communication feature? A. Since the anonymous address is linked directly to a regular email account, the guest will receive the message in his/her regular inbox. Q. How long is the Extranet Communication option valid? A. Until 2 months after check out. As soon as the partner receives the reservation, they can start communicating with guests.